E-Counselling is the web-site of 1410 Service. It handles the same issues and follows the same principles and deontology. What differs is the counselling process. Instead of talking on the phone, you can chat with a counselor through your pc or smart phone. By clicking here, you can discuss any issue of concern with the 1410 counselor. The services and the subjects that e-counselling deals with are the same with 1410 Help-Line. 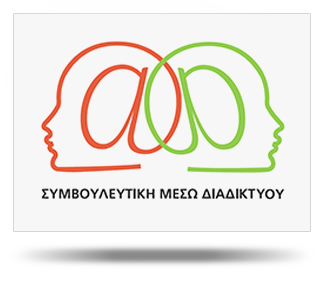 The E-Counselling services which are provided on the website www.onek.org.cy cannot not replace any live psychotherapy. The user accepts and agrees that every counsellor offers helpful guidelines on issues raised by the user, aiming at providing the best possible counselling and psychological support. The counsellor acts based on the details provided by the user, which should be valid and should not violate other people’s personal data rights. In E-Counselling, communication is conducted on a specially designed platform that ensures security as defined in its standards. Beyond this, in case of data loss due to malware, the website www.onek.org.cy and the participants have no responsibility. In such a case, they reserve the legal right to protect their reputation and interests. The counsellor handles the user’s case or details confidentially in both E-Counselling and personal meetings. E-counseling requires digital skills and ease at written communication. In case you do not feel comfortable with these skills, the Helpline 1410 might be a more suitable option for you. You should also have in mind that technical problems might arise, which may result to problems in the platform’s operation or disruptions to the session. In case your computer is accessible by other people, the confidentiality of the conversation might be compromised. The YBC maintains the right to use parts of the sessions’ content for monitoring and development purposes. No personal data will ever be revealed. I have read and accept the terms of conditions of this platform.